Our relaxing and intimate restaurant makes Moonstone one of the best Brighton restaurants for holding your birthday party, wedding party or any private function. The restaurant is available for private hire seating up to 40 Guests. 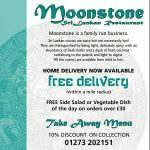 We would be happy to tailor the menu to suit your needs. 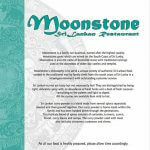 Moonstone is the only Sri Lankan Restaurant in the area, close to several of the Indian restaurants in Brighton, and has been described by many of our regulars as one of the best restaurants in Brighton and Hove. We also offer a bespoke service for outside catering. Please call Dimuthu on 07792 308041 or 01273 202151 to discuss your requirements or to request further information.